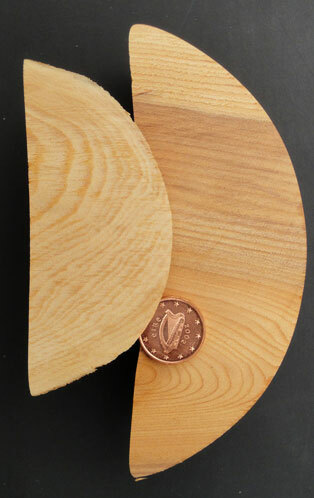 The Harmonic curve, (or neck as Rimmer calls it), of the Dalway harp is stated to be of this wood. A native British tree it appears in the Old Irish tree list as Ibar, (modern Irish Gaelic, iubhar) and was classed among the nobles of the wood. Lynch in his Cambrensis Eversus,(1662), speaks of the bodies of the Irish harp being made of Yew, (Taxo) or Willow, (Salice). 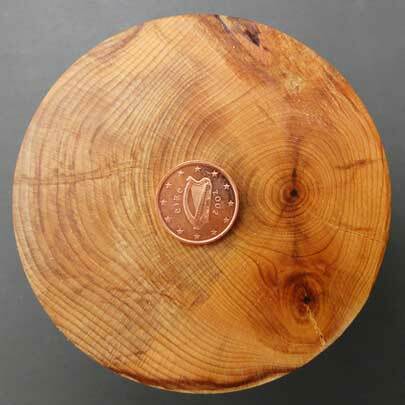 Slow growing and one of the longest living trees, it is a much denser timber than willow and is quite often used in general luthiery work. As the trunk grows larger however, it becomes convoluted and finding a suitable piece for a good sized soundbox without bark inclusions or chaotic grain may not have been easy.